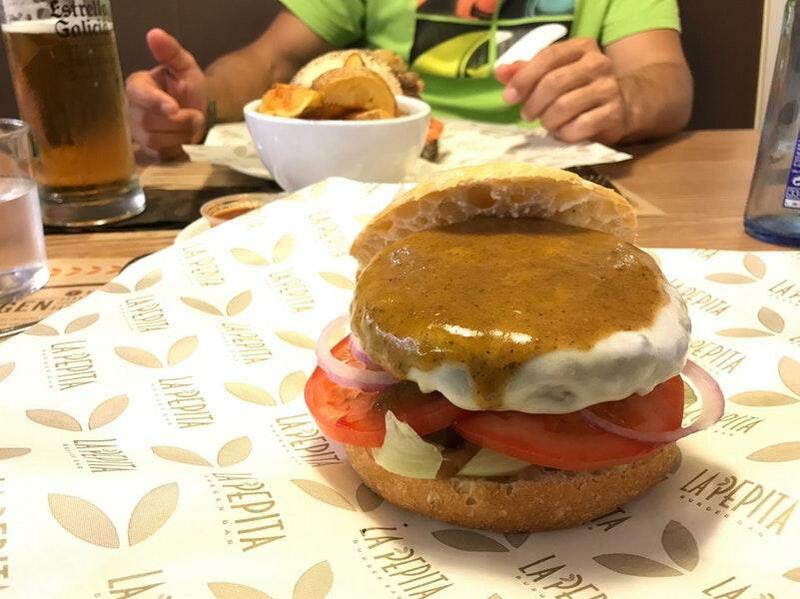 Once the promenade around the Libreria El Buho Lector is over, visit La Pepita Burger Bar. Spend a good time here and share tasty hamburgers, antipasto and taters with your friends. The recipe for success of this restaurant is its good brownies, cheesecakes and pudding. Delicious beer or good wine are worth trying here. La Pepita Burger Bar has great cortado among its drinks. Your children will be provided with a varied kids’ menu. The gracious waitstaff works hard, stays positive and makes this place great. The fine service is a big plus of this place. You will pay fair prices for dishes. There is a pretty ambiance and nice decor at this spot. TripAdvisor users marked this restaurant with 4 stars, you can check it out. Tasty burgers, wide selection, reasonable prices, and friendly staff. Highly recommended!! 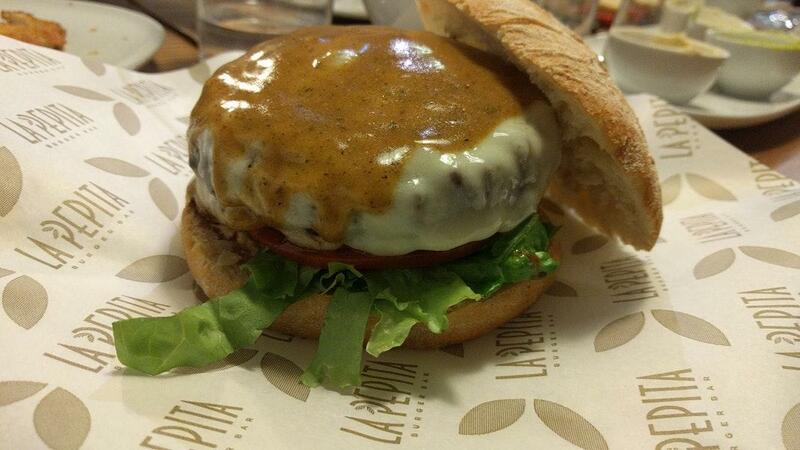 Un sitio ideal, hamburguesas ideales con un trato perfecto. 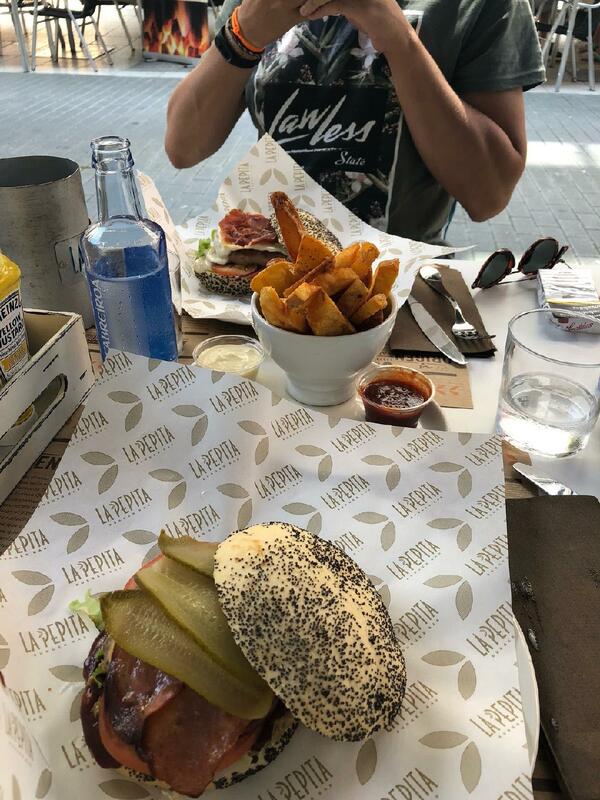 Buenísimas hamburguesas y pan SIN GLUTEN!!! !